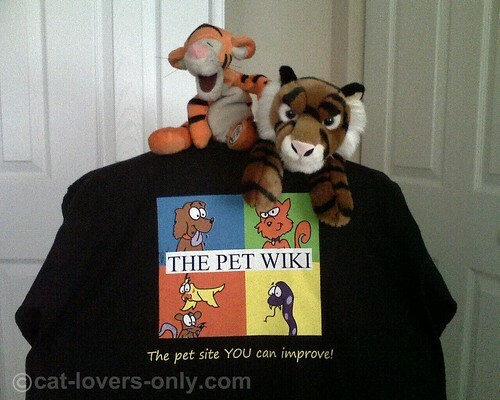 Fluffanutta and Tigger have commandeered my free Pet Wiki T shirt. They seem to really like the shirt and won't let me do anything with it until they've fully investigated it. 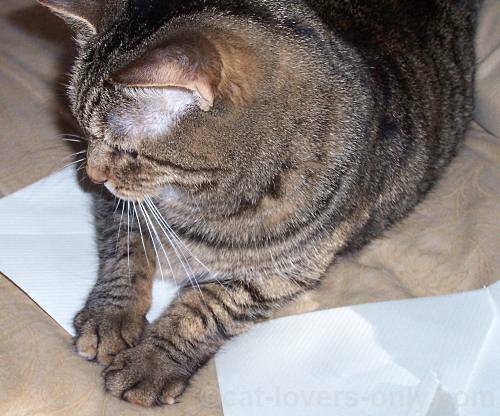 Speaking of investigating, Priscilla always loved to take over your papers by sitting or lying down on them and somehow increasing her weight to 400 pounds. Do you have cats who take over your clothes or other stuff? Tell us about it in the comments! Oh, by the way, here's a guy who is really enjoying his t shirt. Those pics are so cute! !